Thanks for popping in to see me today. As you can see from my post title, my project today is a rehashed version of a previous one (ie "take 2"!). 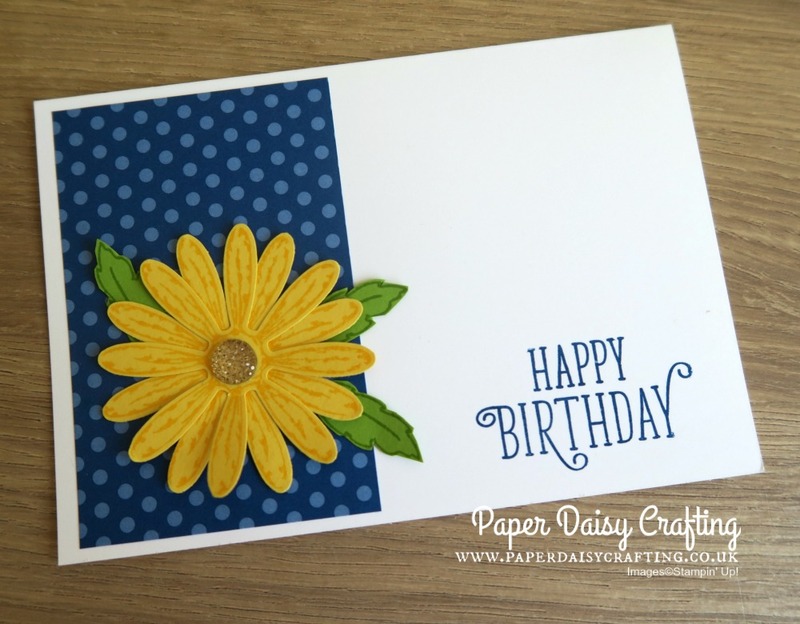 Last year I was bowled over by the release of the Daisy Delight stamp set and the coordination daisy punch. 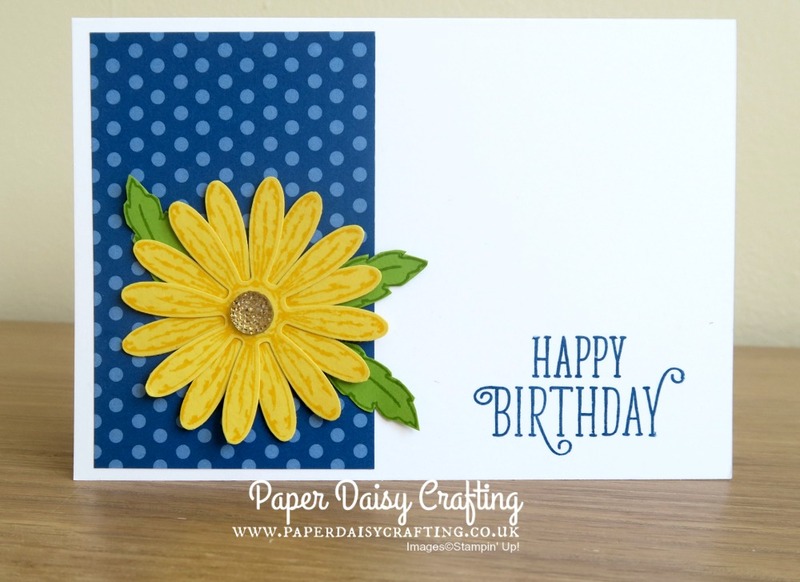 From the many cards I made, this one was one of my favourites. I love, love, love it!! I've used the same yellow cardstock and ink for the daisy (Daffodil Delight) but changed up the leaves to the new Granny Apple Green. 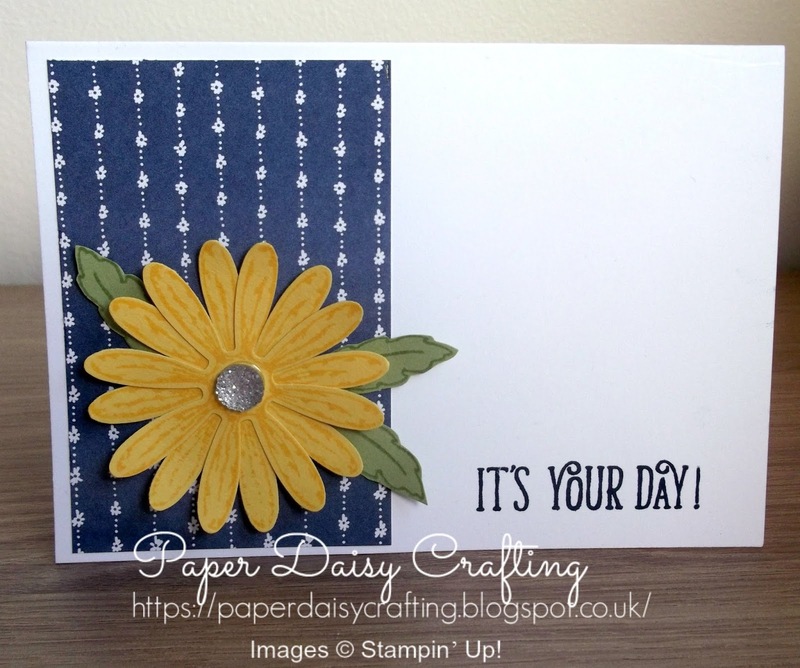 I think the combination of colours really make this card "pop"! I've been offering one to one crafting sessions recently, as family circumstances have made it difficult for me to organise classes. And we made this card in one of those sessions. Happy to say that the participant loved it!